The town is renowned for its thermal baths and the homonymous brand of mineral water, but it is particularly remarkable for the beauty of the historic center, well preserved and characterized by morphological and typically medieval features. San Gemini stands on the ruins of a small Roman settlement, Casventum, along the ancient Via Flaminia. Its Cathedral is dedicated to the patron saint “Santo Gemine”; it dates back to the twelfth century and was rebuilt in 1817. In its sacristy, as it is reported, the relics of the saint were found in 1775. The same sacristy contains the urn and the original plaque, while the relics are buried under the main altar. The saint is commemorated on October 9th; this date is preceded by two weeks of celebrations which are attended by all the citizens of San Gemini as well as by people from all over Italy. The events include re-enactments and historical parades, markets, performances of the famous flag-wavers group and fireworks. 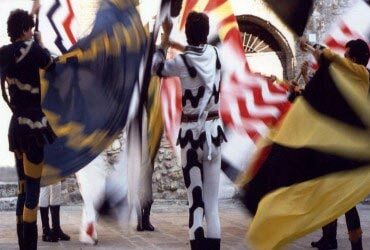 The climax is reached with the traditional Giostra dell’Arme where districts of Rocca and Piazza knights challenge each other to win the ‘Palio': a red velvet drape with at the center a silver shield engraved with the ancient coat of arms of the City of San Gemini. Last but not least, another very appealing event is the Flower Festival of Corpus Domini. on this religious festivity, people organize themselves into teams that compete for the best compositions and pictures created on the ground, along the roads of the historical center, using exclusively flower petals. 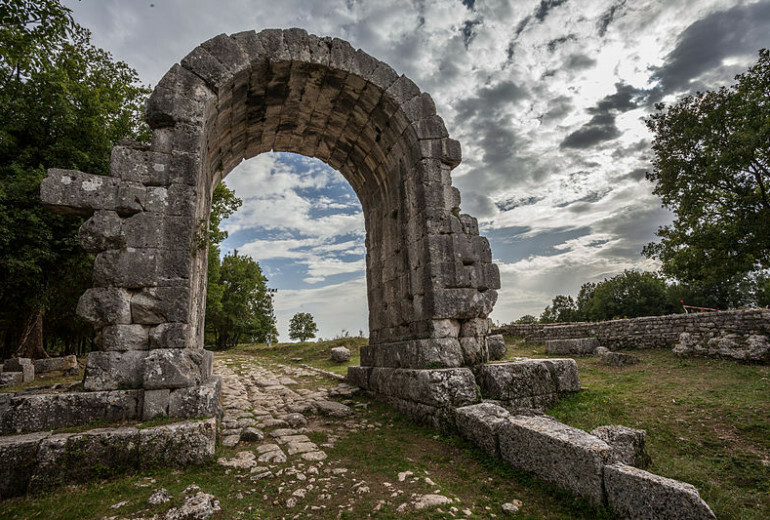 It is the most important and spectacular archaeological site of our region. 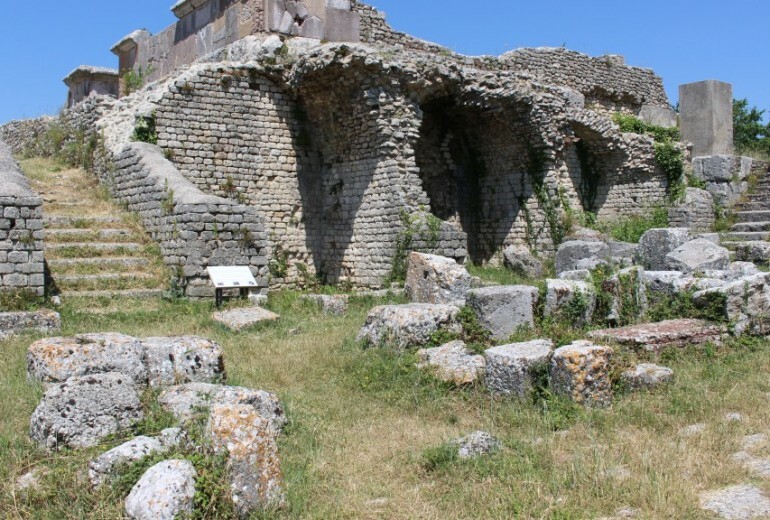 Here the ruins of the ancient Roman city are located in a stunning natural setting. Is is only four kilometers far from our hotel. 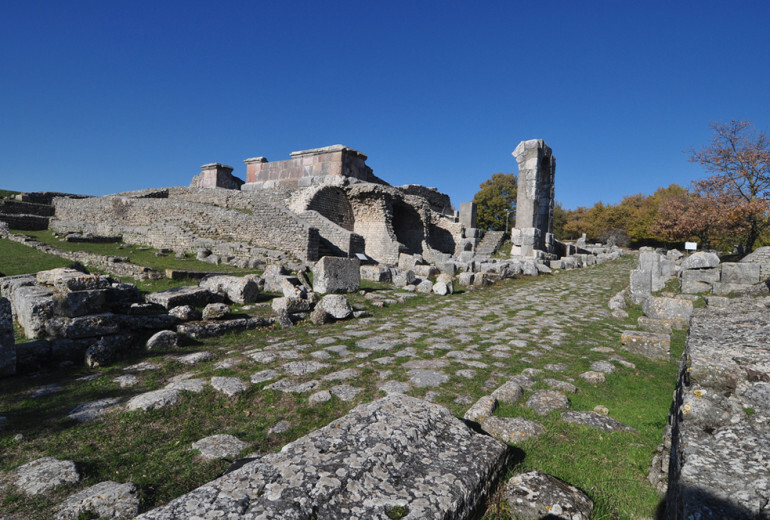 Carsulae was the City Hall of sixth Augustea Region. 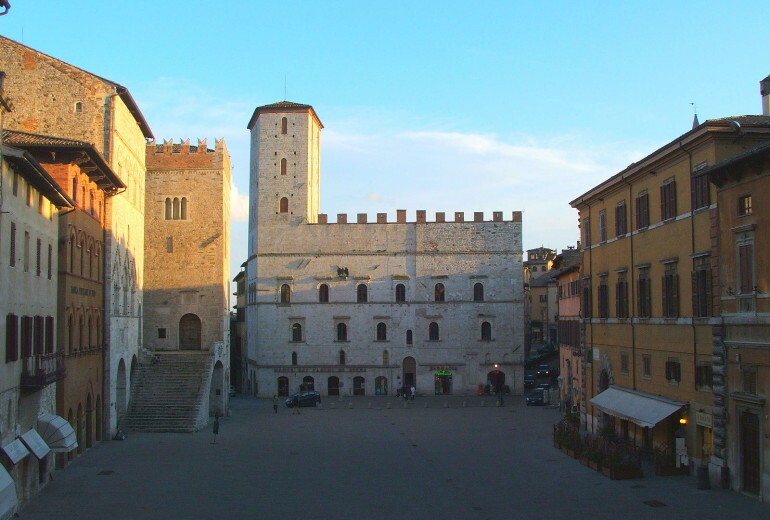 It was an important road center on the Via Flaminia in the stretch from Narni to Mevania (Bevagna). Most of the existing buildings were erected between the 1st century. B.C. and the 1st century. A.D. In the area there are interesting temples called “gemini” witnessing the cult of the Dioscuri (Cosmas and Damian), from which some scholars have speculated the etymological origin of the name San Gemini (Sancti Gemini= twins Saints). At Dunarobba, a village 15 Km from our hotel, a vast land rich in clay was able to keep in its womb a slice of typical Italian prehistory. The highest waterfall in Europe, the beautiful artificial work of hydraulic due to the Romans. 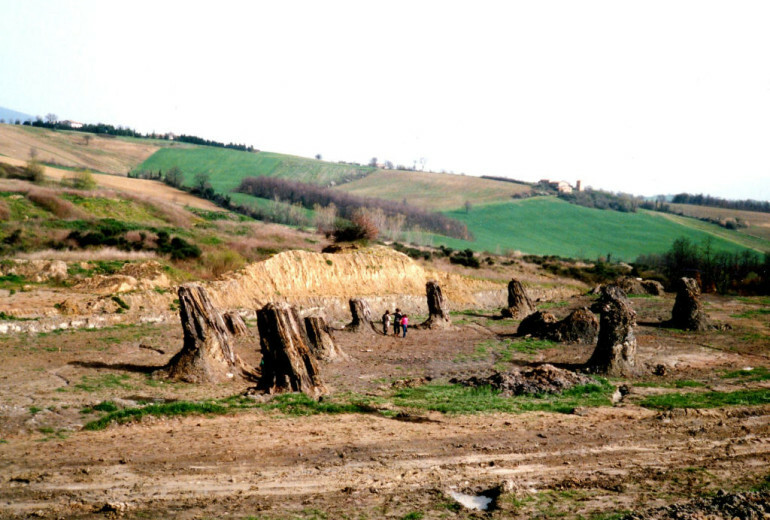 In fact,in the years before 290 BC the river Velino widened in a vast zone of stagnant waters, swampy and unhealthy. 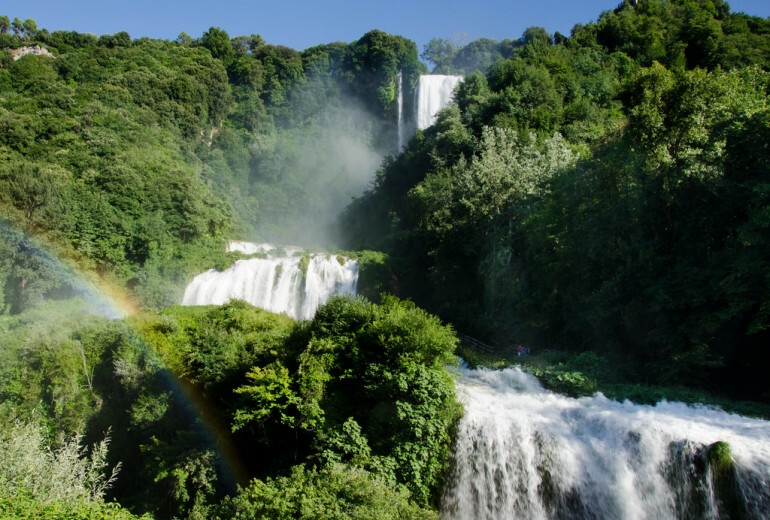 In order to drain this water, the consul Curio Dentato ordered to dig a canal to bring water to the Marmore cliff, and from there would make her fall, with a total jump of 165 meters, in the underlying bed of the Nera river. The spectacular jump of the Marmore Waterfall has inspired poets and artists of every era: Virgil in the ” Eneide “, Cicerone and G. Byron in” Childe Harold’s Pilgrimage “. For Art and History Lovers here is a variety of important areas to be visited as part of a driven path in the city ancient undergrounds. 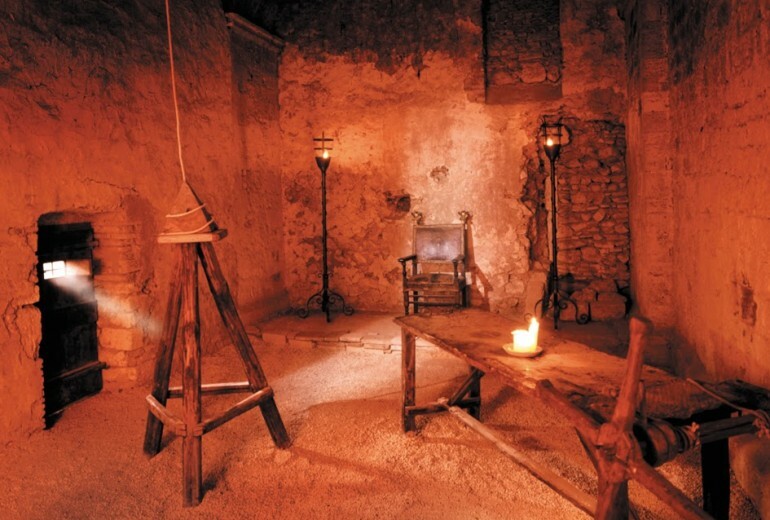 During this visit you can admire the local underground ancient convent of San Domenico with an annexed hypogean church containing frescoes carried out in the thirteenth and fifteenth century, and a Roman cistern with a cell full of graffiti made by the prisoners of the Inquisition. 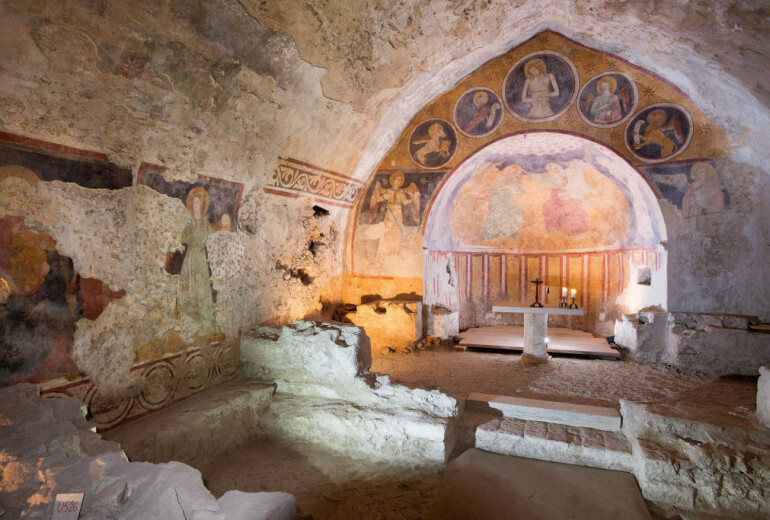 On request, it is possible to visit the crypt of “Saint Mary Impensole”, a three-nave church dating back to the eight century and built on the remains of a Roman building. Transformed into a crypt in the twelfth century, it still retains tanks of the 3rd/2nd century BC. 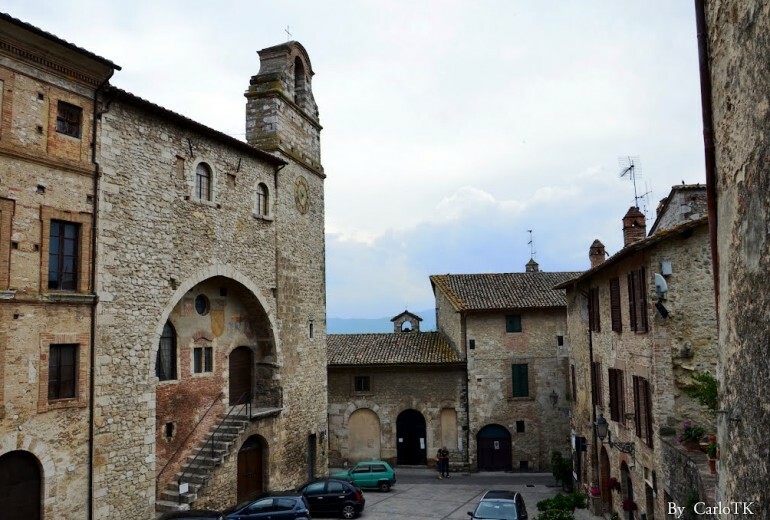 The American press defined Todi as the world most pleasant city where one can live even if its inhabitants prefer to call it the “ideal city”. 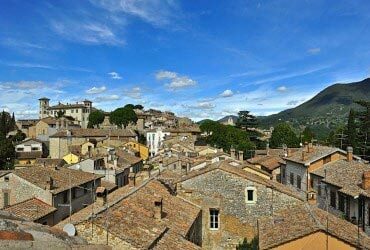 Todi is a medieval city which has a unique beauty and charm. 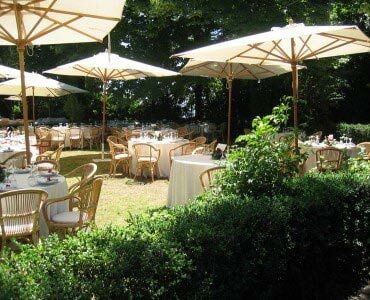 It rises 400m above the sea level on the top of a hill dominating the enchanting Tiber valley. From its terraces, when the weather is nice, one can see Perugia. To be admired there is certainly “Piazza del Popolo”, the main square which represents the heart of the Town and which is overlooked by some of the most important palaces of the old town: “Palazzo Comunale” “Palazzo del Capitano” and “Palazzo dei Priori”. All these magnificent palaces oppose themselves with a suggestive contrast and effect to the wonderful Cathedral, “Il Duomo”. Built in the twelfth century on the ruins of a temple dedicated to Apollo, the cathedral is characterized by a long access staircase and a magnificent romanic façade. Not far away, about 20 meters from the square we can find “San Fortunato Church” dedicated to the patron saint of the City and built in the thirteenth century. The church preserves, in its crypt, the tomb of the humanist poet Jacopone. 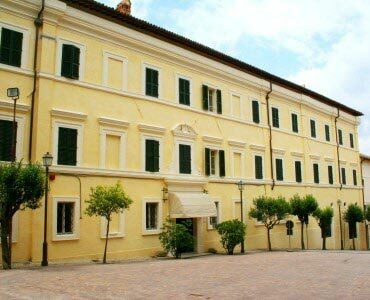 Last but not least you cannot miss the Temple of Consolation, designed and built in the sixteenth century by Bramante. The temple is structured on a central plan surmounted by a beautiful dome and hosts on its altar an ancient image of the Virgin Mary which, according to the tradition, was believed to be miraculous.Finally you can visit The Roman cisterns located under the main square. On A hill gently sloping down the valley, about 6 km from Todi, rises the Sanctuary of Collevalenza , dedicated to the merciful love of Jesus. 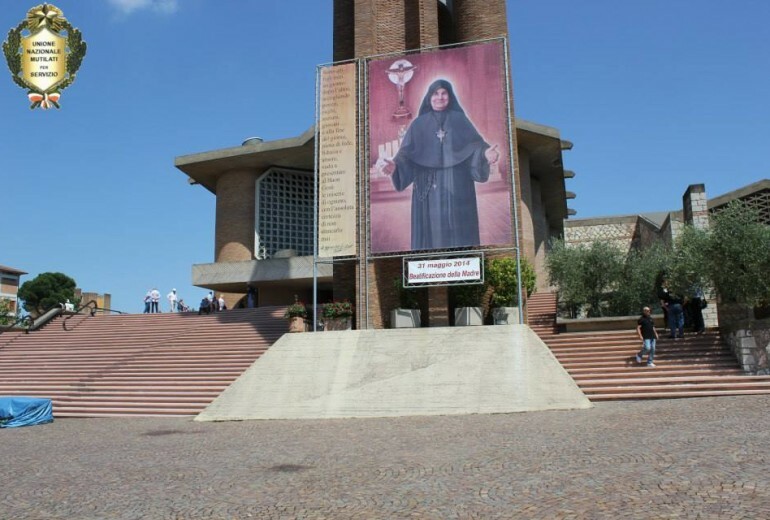 It was here that, on August 18th 1951, according to God’s plan, a nun, Mother Speranza of Jesus, with some other sister of her religious order and other confreres, the sons of the merciful love of Jesus, chose to settle. 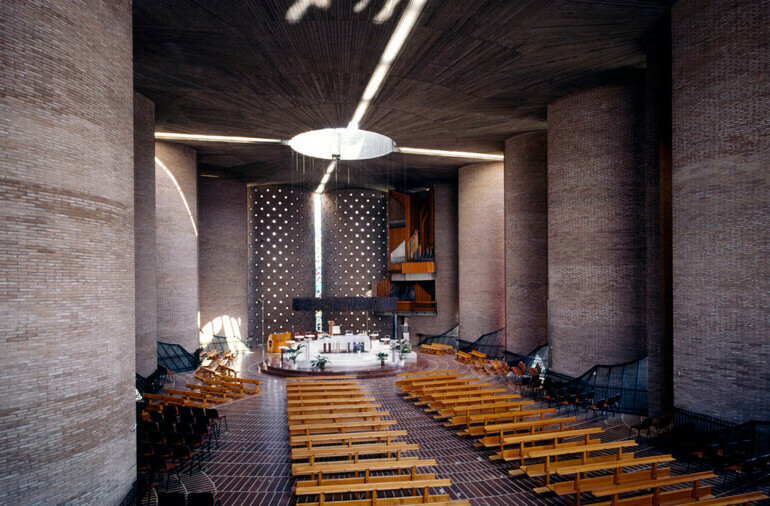 Designed by the Spanish architect Giulio Lfuente in 1965, the Sanctuary of the Merciful Love is one of the boldest examples of modern architecture. The visitor looking for a place where to pray in silence and stay in intimacy with God, can go down to the crypt, the structures of which follow the architectural style of the upper church. Dedicated to the Virgin Mary, the intercessor, the crypt hosts the tomb of Mother Speranza, died in Collevalenza on February 8th, 1983. 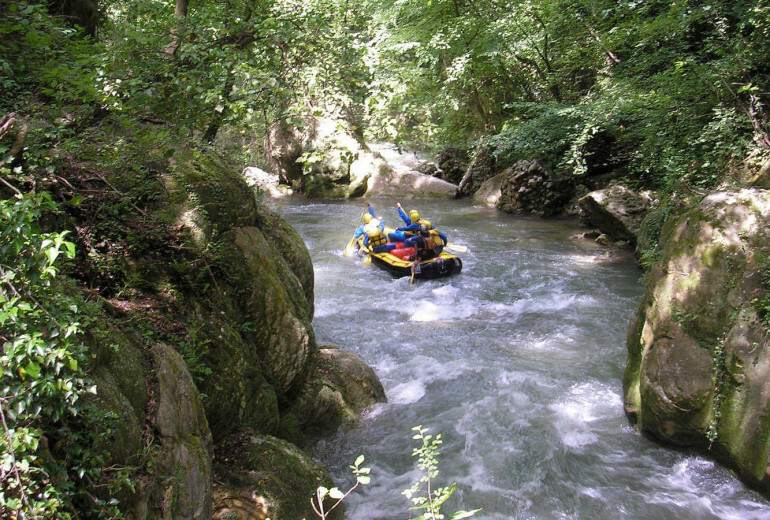 The recurring element in the Sanctuary of Collevalenza is water, that is why this spiritual place is called the “little Lourdes”. In fact, here, there are some pools into which sick people plunge. The sanctuary was awarded the title of “Basilica” by Pope John Paul II, on August 18th 1982, after that Mother Speranza was beatified in 2014 by Pope Francis.